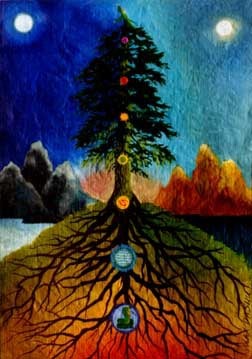 During the longest night of the year I heard myself say in a dream, “It’s my job to hold the center.” It’s a hard job, tossed between the poles of grief and gratitude as so many of us have been during this past winter solstice. There is so much I grieve. We lost my children’s father this year—a loving and supportive father, a devoted Zaide. His passing leaves a big hole in our family. We lost our dear friend Lou, a devoted healer who magically blended Jungian, psychiatric and shamanic approaches to the psyche. We are slowly losing my mother, who still walks in her body, but is losing her orientation in the realms between life and death. We grieve the principal, the school psychologist and teachers who gave their lives to protect the children of Sandy Hook Elementary School. We grieve the precious children. We grieve for the survivors and what they must carry. There have been an endless series of deadly shootings across the country, almost daily reports of victims, many of them children, in small towns and in big cities all across America, victims whose -- much of the time their only fault was being at the wrong place at the wrong time. We grieve little Hiram Lawrence, an adorable baby boy, killed in cross fire while in his father’s arms during a gangland shooting in Oakland. 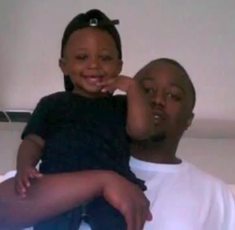 We grieve his father, who was also shot and is recovering. His grief is unimaginable. We grieve the sixteen year old boy Frederick Charles Coleman, who is being charged as an adult in the shooting. 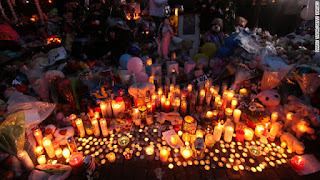 We grieve Adam Lanza, the perpetrator of the massacre at Sandy Hook and his first victim, his mother. We wonder what their stories are. We grieve for the weeping grandmothers. Their suffering is incalculable. We grieve for our country, which has lost its way, confounding gun rights with freedom, shooting “Explosive Entry” bullets into the soft underbelly of our body politic. And at the same moment, as the earth begins its return toward the sun, we are so grateful. We are grateful to our country for re-electing a president who can hold the center, who can speak for the massacred children of a sweet affluent town as well as the massacred children of the mean streets of Chicago, Detroit, Pittsburgh, Oakland and so many other cities. After all, that is what the solstice is about, the cycle of change—the longest night ends and the light returns. 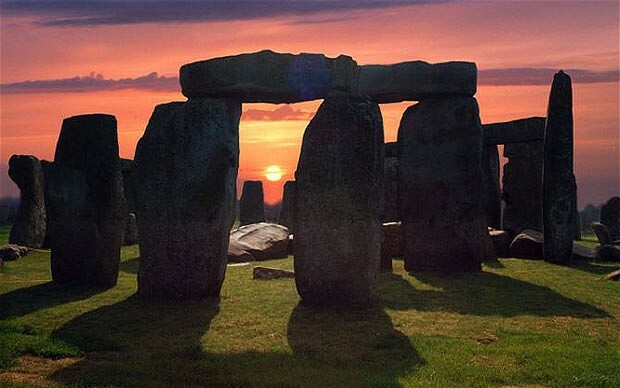 This particular solstice has gotten much press because of a misunderstanding of the Mayan calendar. Those of us who know it is our job to hold the center understand that the Mayans see this recent solstice as the end of a 5,125 year cycle and the beginning of a new one. We are in a time with great potential for catastrophe as well as for renewal and transformation of what it means to be human and to live responsibly on our mother earth. I am grateful for my inner life, for the access to dreams and inner figures cultivated by my Jungian analyses and training. I am forever grateful to my first analyst, who gave me a safe place to begin to become myself. I am grieved that he has been seriously ill. May he return from the underworld to flourish among us again. I am grateful to the Sister from Below— my muse—who insists on time from me every day: she gives glow and flow to my life and helps me understand who I am and what I mean. I am grateful to my sweet husband Dan, who helps me translate my musings into this blog. I am grateful to Patty Cabanas who knows how to reassure technophobes and who helps us get the News from the Muse out to all of you. I am grateful to those who publish my work, especially to Mel Mathews of Fisher King Press who gave the Sister a life in print. Publishing is magic. It transforms what was inner, private—held in notebooks or in Word documents—into an object that belongs to whoever claims it in the world, where it develops a life of its own. Who knows who will read it and what they will make of it? I am grateful for a recent harvest of publications, many in forms new to me. These are my gifts to you—family, friends, colleagues, fellow followers of the Muse—I am so grateful for your companionship in the dark and in the light. I suffered a fit of technophobia when I learned that I’d need to do a Power Point presentation as a participant in A Citizen’s Dilemma: Four Voices, a pre-presidential election conference held at the C.G. Jung Institute of San Francisco. I’d never done Power Point before. But as I played with the dialogue between images and my political poetry I got high on the process of illuminating words with images and images with words. I was lucky to have the competent help of Dan and my daughter Shanti. My fellow presenter, Tom Singer, Co-Chair of ARAS Online, asked me to submit my piece to ARAS Connections: Image and Archetype, a beautiful online newsletter. I was honored. You can read my piece and see the images at http://aras.org/notices/newsletter12-04.htm. You can receive this newsletter for free by clicking on "Receive this Newsletter for Free" at the top left or by emailing at newsletter@aras.org. "Self Portrait with Ghost" is a new poem of mine, which has just been published on line by DecomP Magazine. 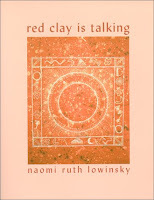 There is an ancient tension in poetry between the oral and the written traditions. My poems are highly musical. I chant them aloud as I compose them and they love to be read aloud. But I am also obsessive about crafting them for the page. 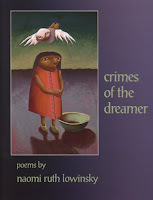 So it was a gift to be published by DecomP, which includes audio recordings of poems as well as the written text. "Self Portrait with Ghost" is part of a sequence of poems based on my close relationship with my maternal grandmother, the painter Emma Hoffman. She painted many portraits and self portraits. They are full of grief and gratitude. In the poem I imagine her returning from the dead to paint me now. Robert Henderson's interview with me was published in Psychological Perspectives. For years, Robert Henderson has conducted a series of what he calls Enterviews with Jungian Analysts and writers. These have been published in a three volume collection called, Living with Jung. I was flattered when he asked to meet with me. His questions engaged me in a different way than does the Sister. 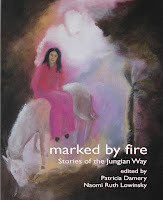 I found myself sharing how I do Active Imagination, how I talk to the dead, how a terrible dream catapulted me into my first Jungian analysis. I hope you’ll check it out in Psychological Perspectives 55:3. 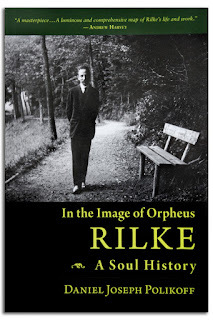 I recently reviewed In the Image of Orpheus: Rilke:A Soul History, Wilmette, Illinois, Chiron Publications, 2011 by Daniel Polikoff in the Jung Journal: Culture & Psyche. I grew up with Rilke. My father quoted him in German. He was as familiar as a dear family friend. I thought I knew him well until I read Polikoff’s marvelous soul history, which brought a spiritual sensibility, informed by the works of Jung and Hillman to the life of this beloved poet. I am grateful to Polikoff for deepening and enriching my feeling for Rilke, such an important ancestor of mine. Here is my review, published in Jung Journal: Culture & Psyche 6:4/Fall2012. A tree rose up. O pure transcendence! O Orpheus sings! O tall tree in the ear. For my father, a musicologist, that tall tree in the ear expressed his calling. For me, Rilke’s imagery was mysterious, incomprehensible and yet deeply true. I would learn, later in life, what that tree in the ear means to me. Rilke was to be my spirit guide—a major influence on my work. I would hear his cadences, get high on the wild flow of his images, his poetic music. I would come to understand that it is Rilke himself who is the tall tree in my ear. I thought I knew him well. Amplification is a method that ties together strands of meaning by association. It is not necessarily history or fact. It is about resonance. Polikoff leads us into Rilke’s life not to give an accounting of events and dates, but to invite us into us to walk with him and his companions as he follows the path of the poet. Polikoff is himself a poet, and a fine translator of Rilke. He understands the mysterious realm in which a poet can change his or her life with words. In my experience this process is similar to working regularly with one’s dreams. Something ineffable happens as a poem comes to life—space opens, images that have been imprisoned leap free to become guides and signifiers, the texture of experience shifts, colors deepen, heart opens. In what realm does this happens? Polikoff introduces us to his companions on the pilgrimage: James Hillman, C.G.Jung, Richard Tarnas, Henri Corbin, among others. 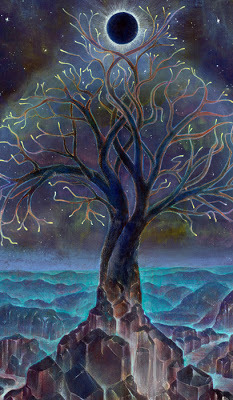 He weaves a rich tapestry of associations out of threads from Hillman’s Archetypal Psychology—his credo that “Soul is imagination,” from Jung’s work on the anima and his belief that the feminine must be brought back into collective consciousness, from Richard Tarnas’ argument that monotheism has contributed to the desacralization of the cosmos. Following Hillman and Rilke’s interest in Sufism Polikoff associates to the work of Henri Corbin on the Sufi master Ibn Arabi, whose compelling writings on the creative imagination open doors to the heart of Rilke’s poetic religion and enable us to understand the confluence of poetry and prayer. He quotes Corbin: “Creation is epiphany…It is an act of the divine, primordial imagination. We follow Rilke to Russia and to his profoundly religious text, The Book of Hours, written in the voice of a monk, an icon painter. Influenced by his lover, Lou Andrea Salome, Rilke takes us out of what James Hillman calls “that soulless predicament we call modern consciousness.” The icon painter knows that his God depends as much on him as vice versa. We’ve heard this before, from Jung. Suddenly sacred space opens and we realize we have entered the imaginal realm. That is where the poet changes her life. That is where Rilke undertook his great project of reconnecting “matter with spirit in and through the speech of the soul.” The Book of Hours “makes a case for the essentially imaginative and creative function of prayer.” In these poems Rilke’s God is down to earth, located “in the dark, invisible, densely material underground of the earth…not…a single centralized source, but… a spreading network of roots….” Doesn’t this sound like Jung’s rhizome? Beginning in The Book of Hours and working through the cataclysmic crisis of The Duino Elegies, coming to the fruition of a mature religious orientation in the Sonnets to Orpheus, Rilke writes “out of a keen awareness that the ongoing life of God…depends upon the rejuvenating force of the human imagination. This resonates with Jung and the Sufis. It is also Rilke’s mission to bring the feminine back into consciousness. 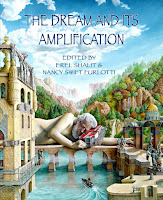 Polikoff, leaning on Jung, focuses on Rilke’s anima fascinations in life and in poetry. He traces Rilke’s soul development as he separates from Lou Andreas Salome, who has been a maternal figure, and meets the lovely young artists Paula Becker and Clara Westhof in the bucolic landscape of Worpeswede. Clara would eventually become his wife. Rilke’s understanding of the sacred shifts “away from the name and spirit of God toward the soul of nature experienced in and through the eyes of two enchanting maiden-artists.” Following Hillman, Polikoff understands the power of anima as enlivening more than the personal realm. Anima is “the archetype of soul coming into its own by way of creative imagination.” In a great poem like “Orpheus. Eurydice. Hermes.” Rilke brings the dead maiden to life: “Like as fruit ripe with sweetness and night/she was filled with her great death.” Later in his life the death of a maiden will become the inspiration for his Sonnets to Orpheus. I found Polikoff’s tracing of Rilke’s theme, that “God can be truly known only in and through the deed of creation itself,” one of the most compelling aspects of his Soul History. The reader follows the development of Rilke’s “poetic religion” from The Book of Hours, which is written “out of a keen awareness that the ongoing life of God…depends upon the invigorating force of the human imagination, to the Duino Elegies, which “sound out of his soul’s dark night” to the Sonnets to Orpheus whose “Orphic voice…moves freely through the world…reflecting the hidden imaginal reality inhering in all visible and invisible” things. In the Elegies we taste the heights and depths of “the initiatory experience itself.” The Sonnets are the fruit of that descent, the suffering of divine absence transformed into divine presence by the poet’s song, that tree in the ear which connects underworld, world and heaven. 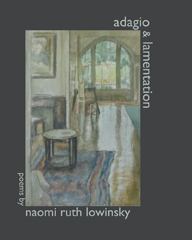 The Elegies, Polikoff argues, are monotheistic, in contrast to the polytheism of the Sonnets. For Polikoff, as for Hillman, this is an important spiritual development away from dualism and into the anima mundi. Rilke, this pilgrimage has taught me, is more than kin, more than that “tall tree in the ear.” He has revealed himself, through Polikoff’s superb reflections, as the angel of “heart work”—a prophet of my own poetic religion. Note: The reference to Rilke’s sonnet in the German is taken from the Stephen Mitchell’s translation, New York: Simon and Shuster,1985. The translations of Rilke’s poems are by Polikoff.